Dave Adkisson, president & CEO of the Chamber testifies at the hearing of HB 463. Since the release of its Leaky Bucket Report in 2009, the Chamber has been an outspoken proponent of reforming government spending in the areas of Medicaid, public employee health benefits, and corrections. Of these three, the Chamber is encouraged to see recent movement in the area of corrections reform. House Bill 463 has the potential to save our state over $422 million in the next decade without taking a soft approach to crime. This bill makes public safety a priority by continuing to hold offenders accountable, but chooses alternative methods to incarceration such as better drug treatment programs. “The business community’s priorities for spending state tax dollars are investments in education and economic development that will build a prosperous future. 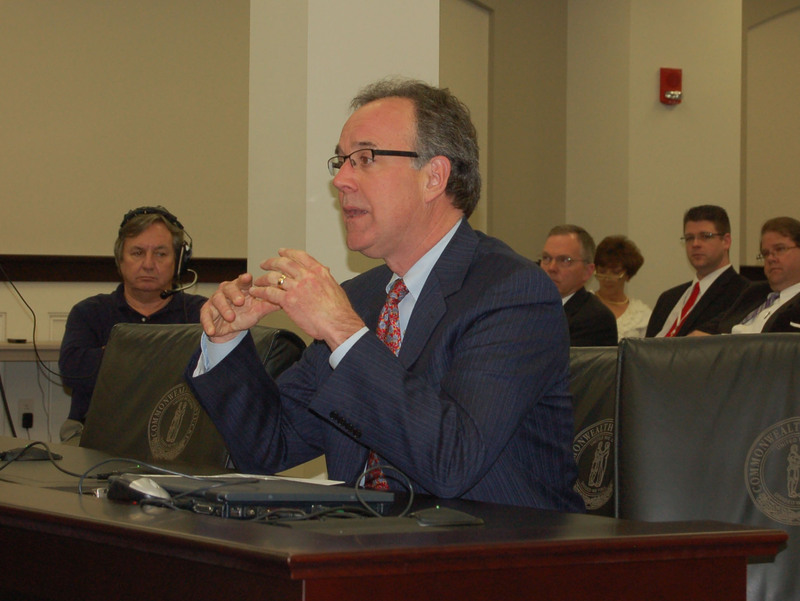 The state cannot make these kinds of critical investments if prison costs are not contained,” said Dave Adkisson, president and CEO of the Kentucky Chamber in a hearing on the bill today. In addition to testifying on behalf of the bill in the House Judiciary committee meeting today, the Chamber delivered a letter to lawmakers, urging them to show support for this legislation. The bill passed out of committee and now moves on to the full House for a vote.